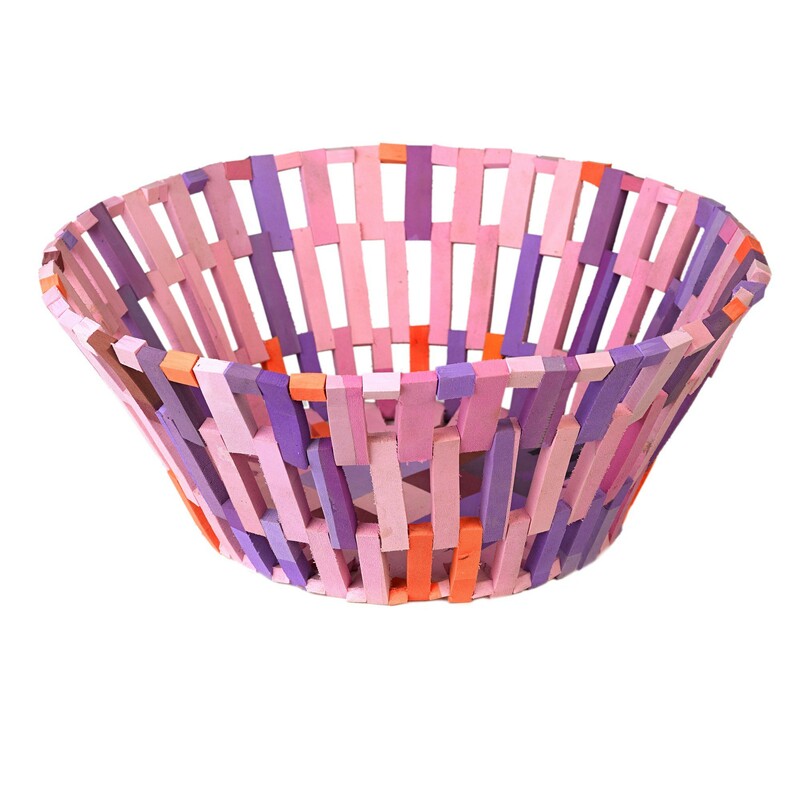 This colorful Flip Flop basket Large from Pols Potten is made from recycled flip-flops. The design baskets from the sustainable Flip Flop range by designer Diederik Schneemann have a fun color pattern, and are available in black tints (blacks), red tints (reds), and green tints (greens). They were inspired by the countless numbers of flip flops that are washed up on the East African coast, now being recycled into these unique baskets. Take a look at the smaller version too! A tidy house helps you relax! However, maybe you would also like to create a lively atmosphere by adding texture and warmth to your interior. Then baskets that have both a functional and decorative character are the ideal addition to your home. Like the Flip Flop basket Large from Pols Potten. It is ideal for storing those bits and pieces and at the same time will bring atmosphere and style to your interior. 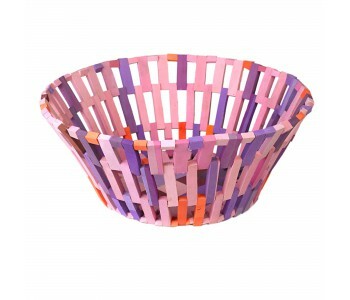 You can also use the basket as a colorful fruit basket or a small washing basket. The Flip Flop range from Diederik Schneemann is known for its recycling and social consciousness. The colorful set of stools and baskets, designed by Diederik for Pols Potten, are made in Senegal from discarded flip flops. With these products, Senegal's local economy is stimulated and waste gets a new life. With this line, Pols Potten has clearly chosen an approach focused on sustainability and innovation. Diederik Schneemann studied at the ArtEZ College for the Arts. Established his own studio in 2010 and has exhibited his work several times in Milan. He is motivated by curiosity. For Pols Potten, he has produced various designs using the material from discarded flip flops. Including this Flip Flop basket. The origins of the Flip Flop range comes from Senegal's beaches, where Schneemann saw countless numbers of old flip flops lying around. His curiosity was ignited and after some research, he found out that each year around 30,000 kilos of flip flops wash up on the east coast of Africa! He couldn't ignore that and decided to use the material in his designs. Resulting in a range of unique, colorful stools and baskets. Take a look at the Flip Flop stool too!